Bowsette is the a popular meme that recently went viral on the internet. It started when Nintendo released a new trailer for Super Mario Bros U Deluxe for the Nintendo Switch. That trailer introduced a new playable character called Toadette and she has the ability to turn into Peachette (a character that looks very similar to Princess Peach) by consuming an item called Super Crown. A twitter user that goes by the handle @ayyk92 drew a comic that depicts Bowser taking in a Super Crown which transform him into Bowsette and the rest is history. You can read more about the meme’s origin here. Within hours, tons of Bowsette fanarts and comics began to surface. Not only that, artists began to turn other Mario game characters into their ‘ette’ form as well. 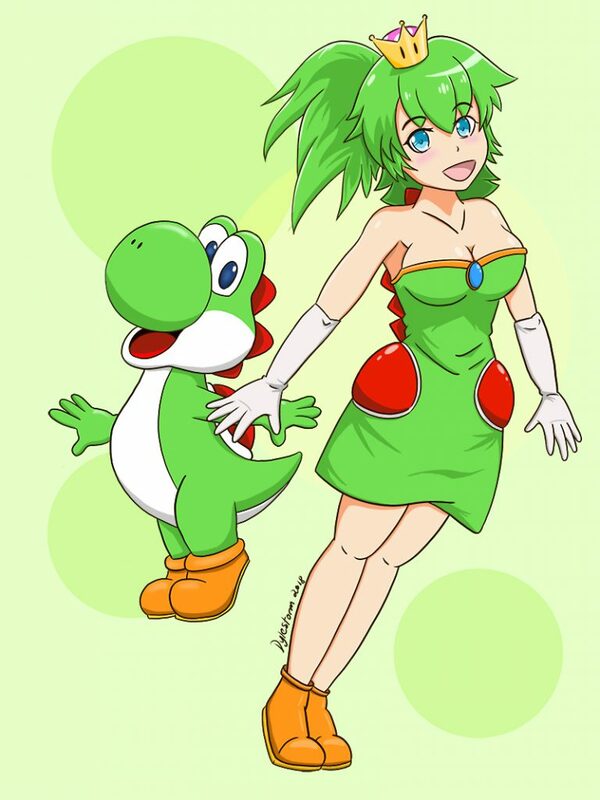 I noticed that Yoshi didn’t get much love so I decided to turn Yoshi into Yoshiette. Hope you enjoy the artwork!